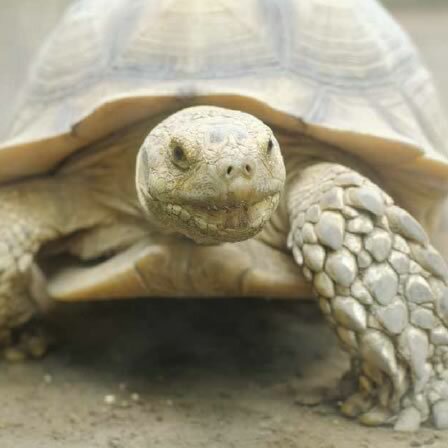 Also known as the African Spurred Tortoise, the Sulcata comes from the northern rim of the Sahara Desert. It is the third largest species of tortoise, able to grow up to 43kg (7 stone). And by living to up to 150 years, they are likely to be here long after all of us! In the wild they burrow to keep out of the midday heat and have been known to dig down as much as 10 feet to reach the right temperature level.